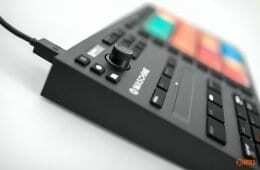 Since completely rebuilding their product line, Serato has slowly added tasty expansion pack morsels one at a time. And while not tremendously expensive as one-off buys, if you really wanted to gorge yourself in the Serato software sweet shop, you’d need a reasonable amount of pocket money to do so. But now there are Serato DJ Kits that offer a pick n mix style section of their menu, but in more cost-effective bundles. Serato is excited to announce our first instalment of Serato DJ Kits, which are available to purchase now from the Serato Online Store or In-App within Serato DJ. We’ve carefully bundled together our existing Serato DJ Expansion Packs along with Serato DJ to build an all-in-one Serato DJ Suite, as well as creating four additional Serato DJ Kits, all of which come with significant savings. Whether you’re an existing Serato DJ user, Serato DJ Intro user, Serato Scratch Live or ITCH user there’s something available for you. The ultimate all-in-one suite for Serato DJ comes with massive savings of USD185. 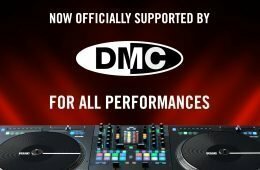 Perfect for Serato DJ Intro users who are looking to upgrade to Serato DJ and take advantage of all the Serato DJ Expansion Packs available. Serato Pitch ’n Time DJ. A great starter Kit for Serato DJ Intro users looking to upgrade to Serato DJ and grab a bargain on Serato Flip, Serato Pitch ’n Time DJ and all three Serato FX Packs. Ideal for Serato DJ Intro Users wanting to upgrade to Serato DJ and use Serato Video. The add-on Tool Kit for existing Serato DJ users. Save USD28 on a bundle of Serato DJ Expansion Packs. This more than anything shows the extensible nature of Serato DJ now. Most people will already have Serato DJ anyway, so being able to cherry pick a cost-effective is incredibly useful. Or indeed if you want to go balls-out and pimp your Serato DJ Intro setup with everything, you can do for $299, a price that matches Virtual DJ 8 Pro’s complete price point. Coincidence? Or you could get the full Mixvibes Cross DVS (including vinyl) for just $129, and have change to go to a real sweet shop and totally pig out.